The Pennsylvania special election to replace Rep. Tim Murphy is only a few days away, and the race has only grown closer as the decision looms. The Democratic nominee, former Marine Conor Lamb, as been able to close the gap between himself and Republican nominee Rick Saccone in a severely pro-Trump region by consistently outperforming and outmaneuvering him. Lamb has raised five times more in campaign funds than Saccone, who has gathered less than $1 million. Attempts by Saccone and other Republican groups to link Lamb to House Minority Leader Nancy Pelosi haven’t stuck. Even bragging about the massive tax cuts passed by Congress in December has done little to nothing to impact polls. With strategy after strategy failing to push Saccone beyond a virtual tie at best, and being down by three points to Lamb at worst, the GOP is stuck in a no-win situation that wouldn’t even be remedied fully by a Saccone victory. Many within the party view Saccone himself as the main problem. He has legislative experience at the state level, but he lacks the charisma, foresight and ability to coax money out of donors that is crucial to success at the national politic level. Now, Rep. Steve Stivers, the House GOP campaign chief, is calling out Saccone and his inept campaign for relying on national GOP resources and Trump-affiliated PACs to prop him up without matching their efforts in any way. 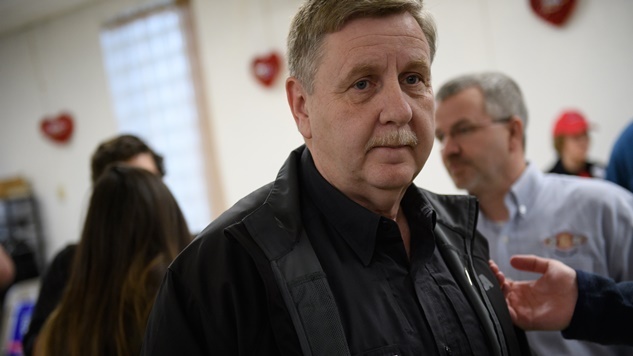 According to Politico, the GOP and affiliated organizations have poured $7.5 million into advertising for Saccone, the same advertising that Lamb has been able to circumvent, and have seen no uptick in public support for the beleaguered candidate. The commitment from national Republicans extends beyond money, as the White House has sent multiple aides and officials, including Ivanka Trump, to Pennsylvania to campaign for and support Saccone. All that has done is cause bewildered concern about how Saccone is running his campaign. He currently has only four full-time staffers, has drawn mediocre attendance to his rallies and thinks a successful campaign ad consists of him sitting at a kitchen table with an American flag coffee mug. His social media strategy is even more embarrassing. Despite chunking armfuls of cash into the battle with no return on investment to date, Republicans can’t not do it. Similar to another election that got away from the core of the party, Saccone is not the candidate they wanted, but he is the candidate they have, and it would look even worse if they didn’t fight a seemingly losing battle in a district Trump won by 20 points in 2016.